This hand painted boys bedroom mural was commissioned by renowned London interior designer Fiona Barratt. 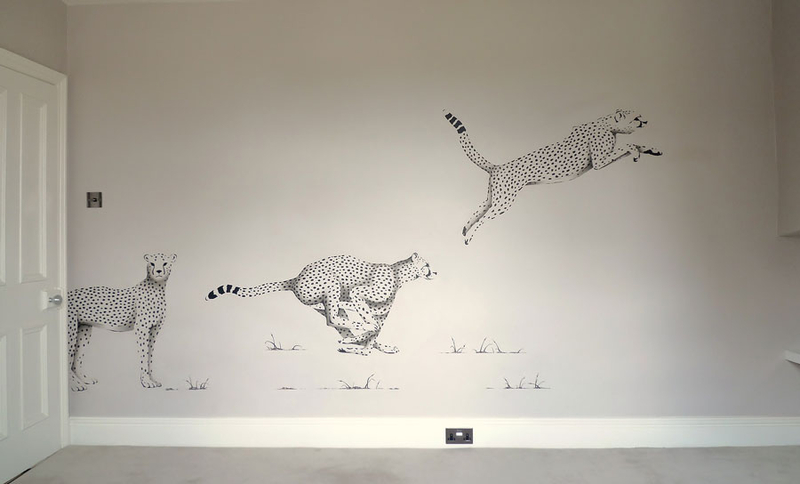 It was hand painted on the main wall of a teenage boys’ bedroom and was designed to compliment the sleek and stylish modern furniture that would be later added. 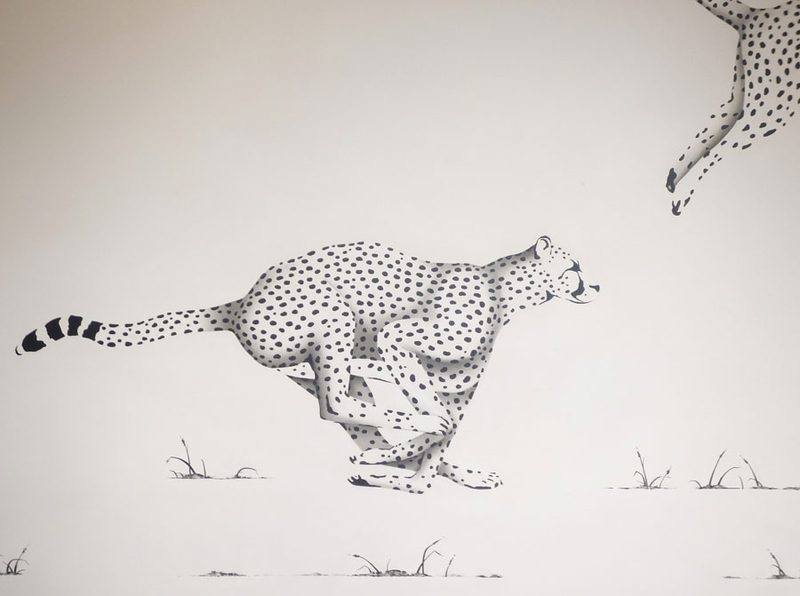 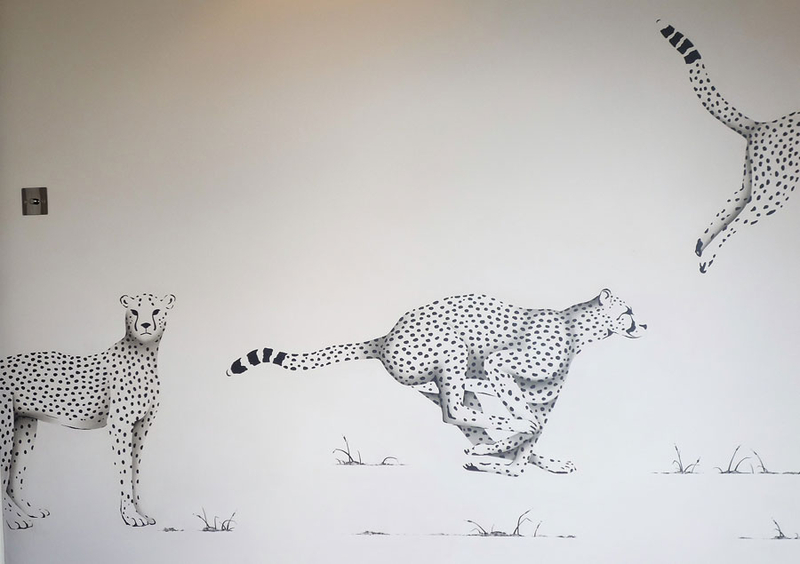 The cheetah on the right was positioned so it would eventually be leaping over the bed.